The UConn Creamery has been an integral part of the Animal Science Department since 1953. 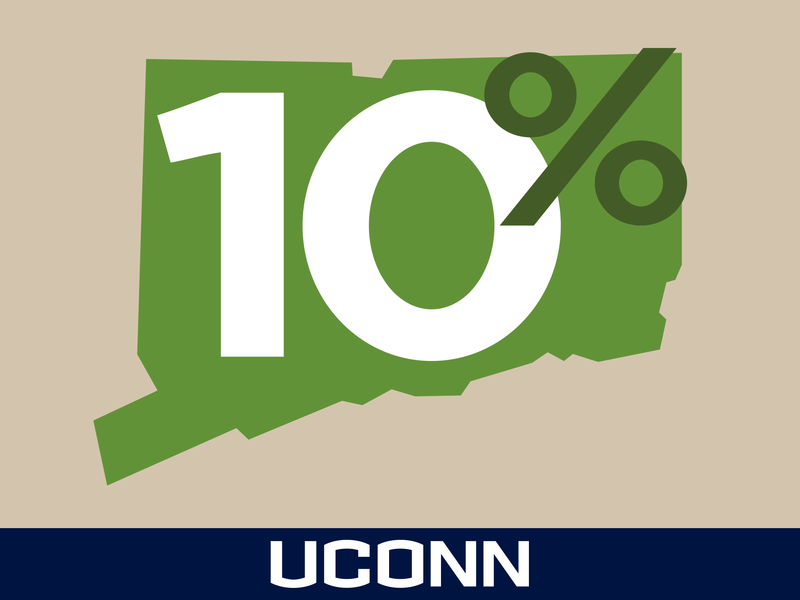 As the winner of countless “Best of” awards, the demand for the famous UConn ice cream is ever increasing. Meanwhile, throughout the United States, consumer interest in local foods including specialty and artisan cheeses continues to drive the explosive growth of small scale, diversified, and value-added dairy production. 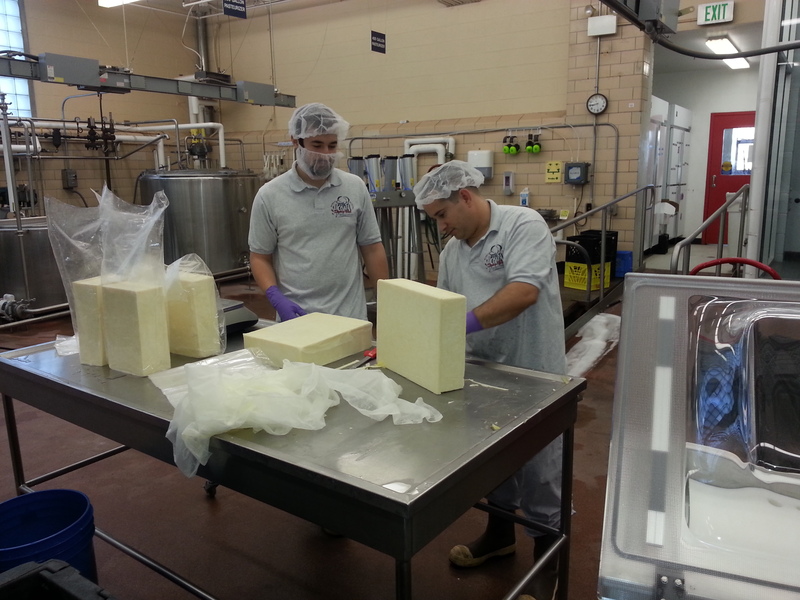 Dr. D’Amico’s research focus is on improving the safety and quality of artisan cheese. For more than a decade he has worked extensively with students and producers alike through his position at the University of Vermont, where he worked on product development, process control, environmental monitoring, and the development and implementation of food safety management systems. His first class offering at UConn, Animal Food Products: Dairy Technology will be offered in the spring semester of 2015. 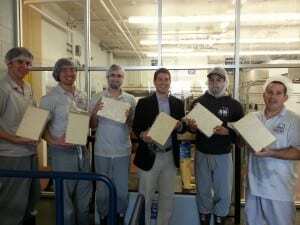 As a founding member of the Vermont Institute for Artisan Cheese, Dr. D’Amico also makes cheese, and will use his skills and experience on the production floor to re-introduce the UConn Creamery as a cheese production facility enhancing the teaching, research, and outreach missions of the University, and increasing opportunities for education across the board. “The UConn Creamery flagship cheese will be our traditional cheddar that will be aged and offered as mild, medium, sharp and extra sharp. “Since cheddar needs time to develop flavor,” Dr. D’Amico states, “we will kick things off with two fresh cheeses, an old favorite produced at the creamery in years past called juustoleipa and a new versatile cheese in the style of queso blanco.” Both have received rave reviews. 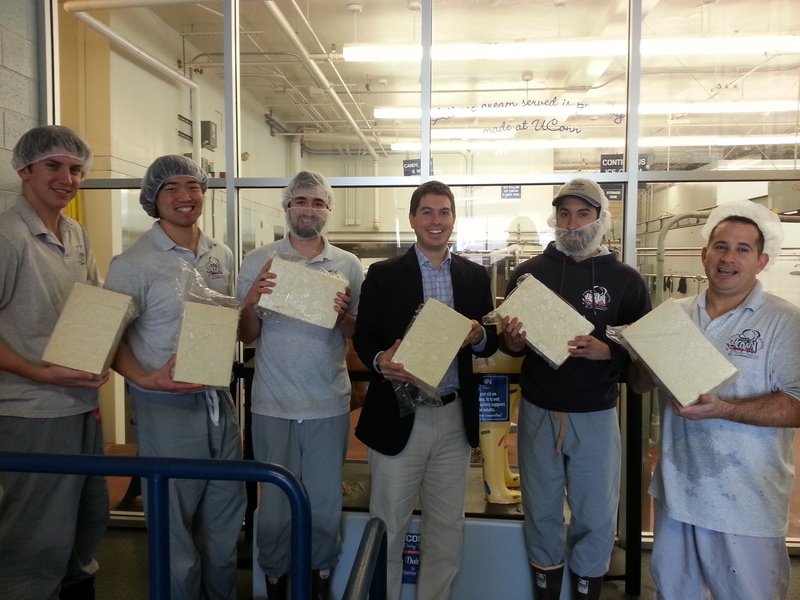 In 2014, in addition to cheese-making operations, Dr. D’Amico will be focusing on the U.S. Dairy Food Safety Initiative with the Innovation Center for U.S. 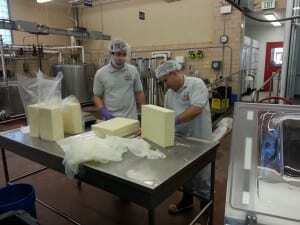 Dairy developing and delivering a harmonized artisan cheese safety training program for regulators, inspectors, cheese makers, and retailers as part of his appointment with UConn Extension. This training, entitled “Food Safety and Hygiene in Artisan Cheese Making” is available throughout the country and has already drawn more than 400 attendees. The class will be offered at UConn in spring 2014. Dr. D’Amico is also planning 3-day cheese and ice cream making short courses in the future at the UConn Creamery that will be open to everyone. To learn more about the UConn Creamery, please visit: www.animalscience.uconn.edu or contact Dr. Dennis D’Amico at 860-486-0567.